Authentic Italian Ragu di Carne. 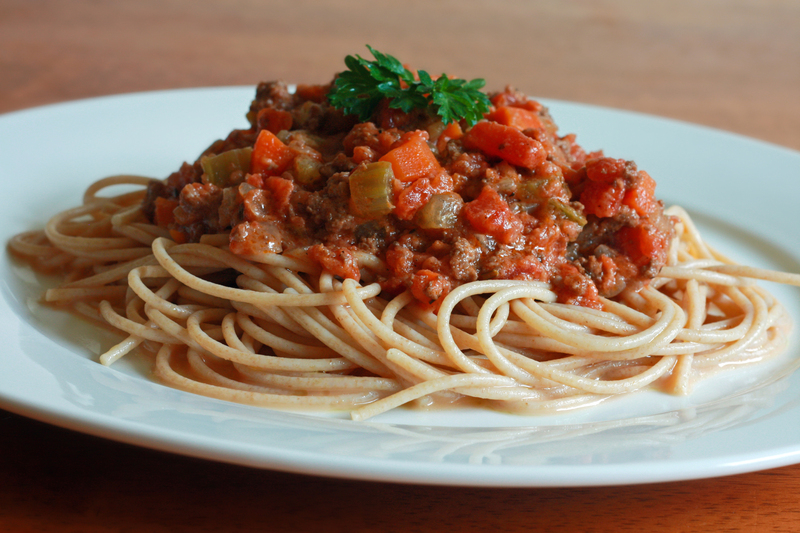 Italian ragu is very different than American-Italian spaghetti sauce (which tends to be soupy and largely tomato sauce/paste-based.) There are variations of Ragu di Carne, but mine consists of ground beef, bacon, onions, garlic, carrots, celery, chopped Roma tomatoes, red wine, heavy cream, fresh thyme and rosemary, bay leaves, and a few additionals listed below. The vegetables are caramelized in the butter and olive oil and the ragu is slowly cooked for over an hour. Delicious!